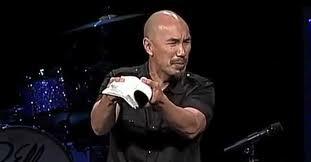 Just this past week, Francis Chan utilized a similar motivational approach as the keynote speaker at the CHIC 2012 Christian Youth Conference in Knoxville, TN. As typical of other Lordship Faith teachers, Chan challenged his Christian audience to look at themselves introspectively to see if they were really saved, based upon their behavior, attitudes and lifestyle. This speech was similar to one given by John Piper to another large gathering of Christian young people (see: http://www.expreacherman.com/2012/01/13/john-piper-speaks-to-42000-youth-redefining-the-plan-of-salvation/). No Guilt, No Fear! Living by Grace not by Doubt and Fear: Guilt-Free Christianity! Grace robbers are everywhere today! Their faces can be seen on “Christian” television; their voices bellow from the pulpits of large churches across the land; their best-selling books are widely featured in Christian bookstores. It seems that at every turn there surfaces another voice in the Christian world who would steal the joy and assurance away from any believer who will listen to such voices and follow their unbiblical teachings. True Hope in Christ Jesus and in his wonderful free gift of salvation through faith alone are replaced by doubt. Doubt increases; it shifts one’s focus from trusting in Christ and his finished work on the cross alone to a fixation on oneself—What have I done for God lately? Am I really doing enough? This increasing introspection quickly begins to destroy confidence in Christ Jesus alone and assurance of one’s salvation. Decimation of assurance morphs into fear and anxiety. Fear of what? Fear of not being sin-free enough to please God; fear of not reading the Bible enough; fear of not attending church often enough; fear of not witnessing enough; fear of not doing enough to help the poor; fear of not being “on fire” for Christ; fear of not being good enough to please God. Fear leads to dread, often the dread of possibly heading for hell one day. Grace-robbing preachers fuel this dread through their incessant unbiblical judgmental rants. Dread destroys any semblance of joy remaining in the Christian’s life. And what is the final result? A miserable, defeated, guilt-ridden believer. Yes, a believer to be sure: one who has placed her complete faith in Christ Jesus alone for salvation—by grace alone through faith alone in Christ alone, Ephesians 2:8-9. But one who has allowed the joy-sucking assurance-thieving grace robbers to steal away the Grace, Hope, Joy, Assurance, Confidence and Guilt-Free existence that God would have for the true believer in Christ to experience every day. Let’s make every effort to speak out against unbiblical grace-robbing teaching in the body of Christ. And let us live and encourage other believers to live Guilt-Free lives of Confident Assurance through faith in Christ alone and through his wonderful gospel of 1 Corinthians 15:1-8 (the death, burial and resurrection of Christ). A much-publicized Christian “impact” conference is coming to Miami, FL this weekend, February 10-12. It is youth-oriented, having rock-style music and fiery preaching. Some of the keynote speakers are quite well known in the Christian community. 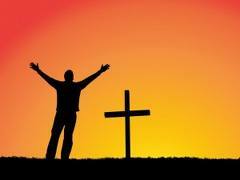 Some come from churches and Christian organizations which have solid grace-oriented statements of faith and salvation. But please be forewarned that some of the speakers are from churches or ministries supporting Calvinist/Lordship Faith teachings. 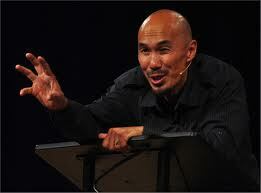 Francis Chan, Conference Speaker, Author, radical Lordship Faith promoter (see any of the many articles on the Expreacherman site for more detail on his teaching). Rich Wilkerson, The Rendezvous, Miami. The ministry’s statement on salvation is more toward the Biblical Ephesians 2:8-9: “This justification is imputed by the grace of God because of the atoning work of Christ, is received by faith alone . . .” However, “repentance” as a term is used but not defined and fruits of the spirit and a holy life are expected evidences of true salvation. Greg Laurie, Harvest Church, Riverside, CA. Well-known radio Bible teacher and conference speaker (Harvest Crusades). Pedro Garcia, Calvary Church Kendall, Miami. Statement of faith looks alright, but, sadly, the web site recommends books by Calvinist or LS writers like John Stott, Francis Chan and Timothy Keller. Miles McPherson, Rock Church, San Diego. Web site’s heading on its statement of belief regarding salvation bore the questionable wording, “Repent and Believe.” But upon downloading the complete statement it presented a grace gospel message. Christine Caine, Equip and Empower Ministries, Sydney. Statement on salvation looked fine. That’s about it for now. Feel free to check out these individuals on your own as well. Please let us know if you have any additional information or warnings about the ONE conference or about any of its speakers.